Shosholoza Meyl Tourist Class offers safe long distance, city to city, economy sleeper class passenger train travel in South Africa. 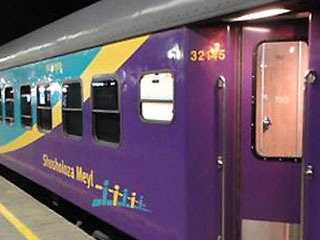 Tourist Class Shosholoza Meyl trains travel Johannesburg, Cape Town, Durban, Port Elizabeth, East London rail routes on a weekly timetable at affordable rates. Simply complete the booking form and we will reply via Email with a quotation, confirming on board services, travel dates, availability, timetable and fares. 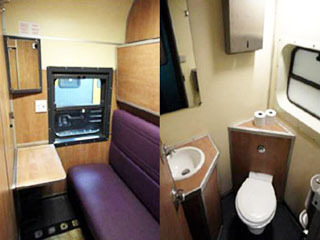 Tourist Class trains have 2 berth coupes, 4 berth compartments with bunk beds, communal toilet and shower at the end of each coach. Couples travel in 2 berth coupes and families in 4 berth compartments. Solo travellers share a 4 berth with fellow travellers of the same gender. 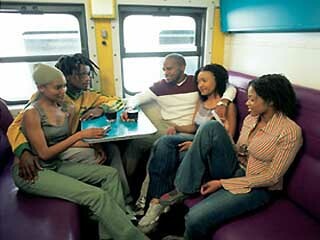 The Tourist Class restaurant coach offers South African meals and beverages on a cash basis. Snacks can be purchased from the service trolley. Bringing your own food is allowed. Bedding, can be purchased from the bedding attendant on the train at R60 per person. 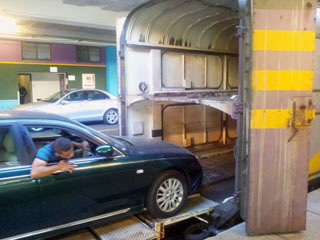 Private Motor Car Transport for sedan, SUV's, 4x4 and Bakkies is available on train routes Johannesburg -Cape Town -Durban and -Port Elizabeth. 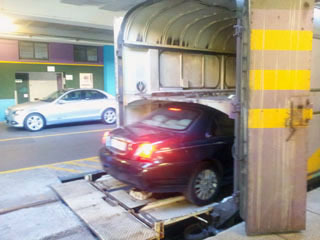 *Car only transport and Car Transport with Tourist Class passengers, can only be booked three month (90 days) in advance. Fares can only be quoted for three months in advance. 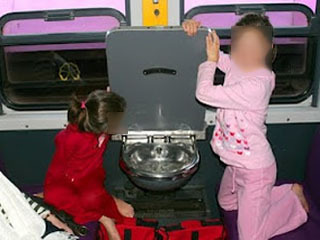 Tourist Class sleeper cars have 2-berth coupés and 4-berth family compartments that convert to seating for daytime use. The leatherette benches convert to bunk beds at night. A washbasin with hot and cold water is stowed under the table. Each sleeper-coach has a hot shower at the end of the corridor, with lockable shower cubicle and changing area. Tourist Class trains are not air-conditioned. The windows open to allow for cool air circulation. 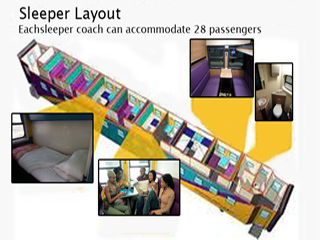 Solo (Tourist Class) travellers will be booked into a 4-berth compartment, sharing with three other passengers of the same gender. Two passengers travelling together (husband and wife) will be booked into a 2-berth coupé (subject to availability). 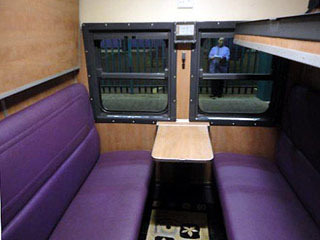 Three travellers travelling together will be booked into a 4- berth compartment sharing, unless a full compartment is paid for. A family of four will be booked into a 4-berth compartment. 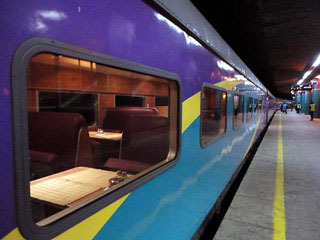 The Tourist Class restaurant car serves snacks, drinks and affordable meals. 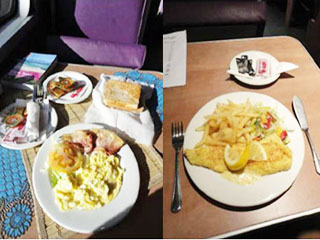 Selective convenient foods are available from the trolley service during the day and you may take your own food and beverages onto the train. 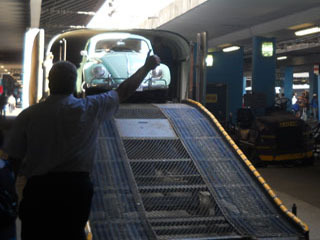 Car transport is available on Johannesburg –Cape Town –Durban and -Port Elizabeth routes.